I can be pretty stubborn when it comes to clothing, and the number one area I refuse to budge on has more to do with comfort than anything else. More specifically, it’s about the bras I choose to wear. As someone who wears a size 34F, the topic is top of mind—at least in my experience—because it’s the area of my body I’ve found most proportionally challenging to dress. All this to say going-out tops and I have not always gotten along. I love a pretty, flirty top as much as the next lady who’s got plans on a Friday night. But as someone who’s not only uncomfortable going sans bra but also prefers wearing one that’s supportive at all times (no strapless bras for me, thanks), the options for dressed-up yet non-flimsy, non–floss width straps can seem scarce. Which is why I rounded up going-out tops you can wear a supportive bra under. Keep scrolling to shop all the pretty, special plans–ready styles, regardless of your bra size. 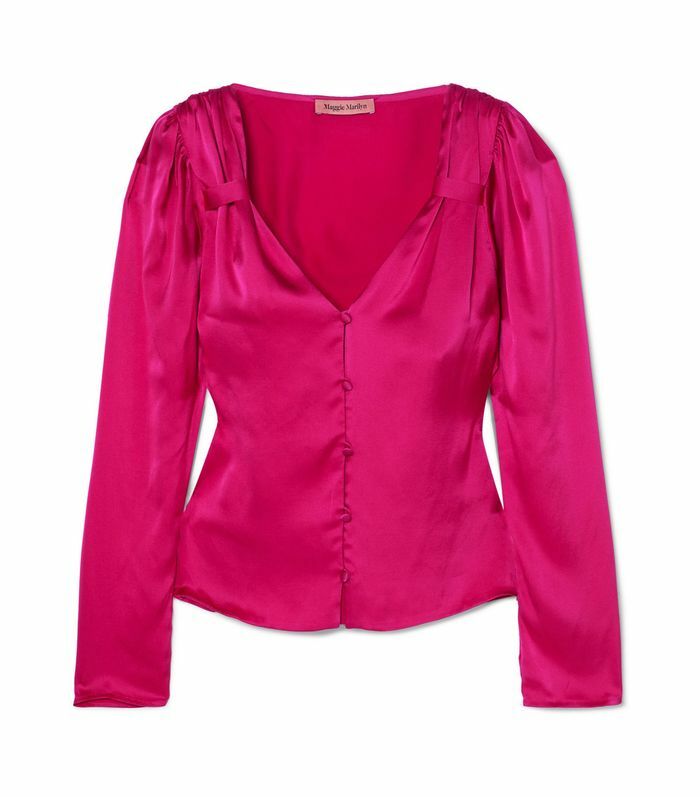 If hot pink satin doesn’t say “party,” what does? Must-try: Conceal your bra straps with marabou. The puff-sleeve silhouette and textured fabrics feel extra special. All the sequins. All night long. A simple cropped top is key for a more casual going-out look. Animal prints are great for 9-to-5 and 5-to-9. Did someone say statement shoulders? This square neck is so pretty on all shapes and sizes. These tie straps help conceal whatever you’d like to wear beneath this. A knotted top accents your waist without any potentially restricting belts or sashes. A tied-up style like this is great for adjusting over whatever underpinnings you prefer. A silky pajama top might not be part of your average going-out uniform, but it should be. Not your not-so-typical Saturday night top for those not-so-typical Saturday night plans. Meghan Markle would totally love this neckline. There’s a “paint the town red” pun in here (we just know it!). Up next, take a look at the big, beautiful Who What Wear Fall Issue featuring Chloë Sevigny.